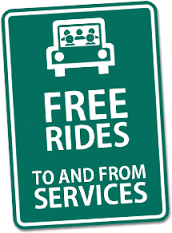 Do you need a ride to and from church on Sunday mornings from Carleton Willard Village? We have volunteer drivers who will provide transportation. Each Sunday they will meet you at Carleton Willard Village’s main entrance at 9:30am and drop you off at the Elm Street entrance to First Parish. They will then offer a return trip leaving First Parish from the Elm Street entrance at about 11:30- 11:45 am. To arrange for a ride, please contact the church office (office@uubedford.org or 781-275-7994) by noon on the Friday before you need the ride. That way we’ll know how many people to plan for. If you live elsewhere in Bedford and need a ride, let us know and we’ll do all we can to ensure you get to church!